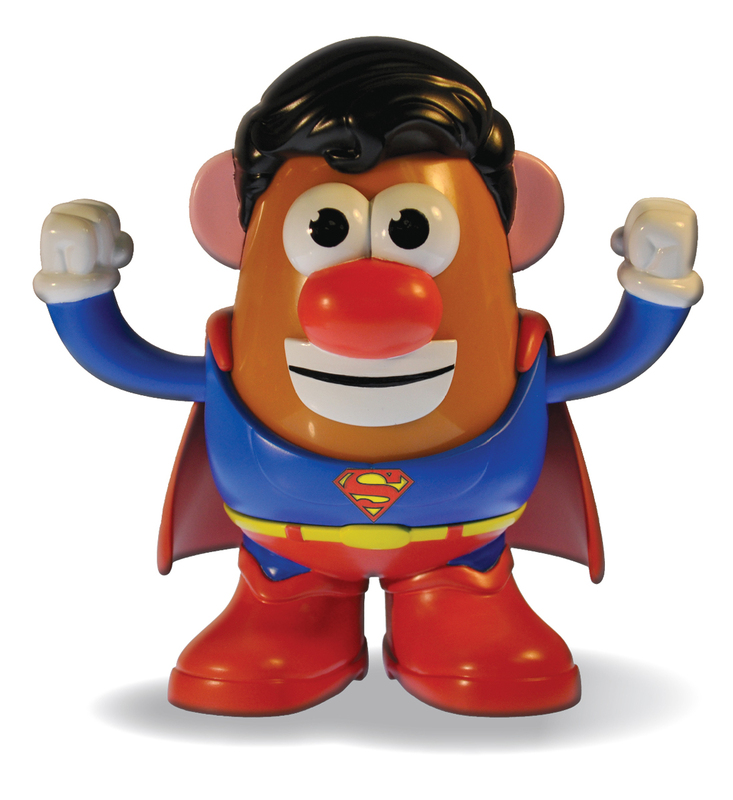 PPW Toys is going to be releasing a new Classic Superman Mr. 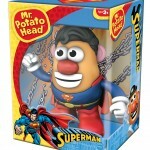 Potato Head to go along with their upcoming Dark Knight Rises Potato Head. Warner Bros. Consumer Products has supplied us with a couple of hi-res images of the figure. Also, they have announced a Wonder Woman Mrs. Potato Head as well as plans to continue the line beyond these characters. No pics of those characters yet. Discuss on the Toyark Forums› Views: 8129 › Credit: Warner Bros. I wonder if we'll eventually get Wonder Woman, Aquaman, Cyborg, Flash and Martian Manhunter in this form as well. Then we can have the Potato League of America. Wonder Woman was announced (see front page news story). Other DC characters are incoming as well. OMG. I love it!!! I'm definitely getting one of these no matter what. I laughed pretty hard at the sight of this lol. 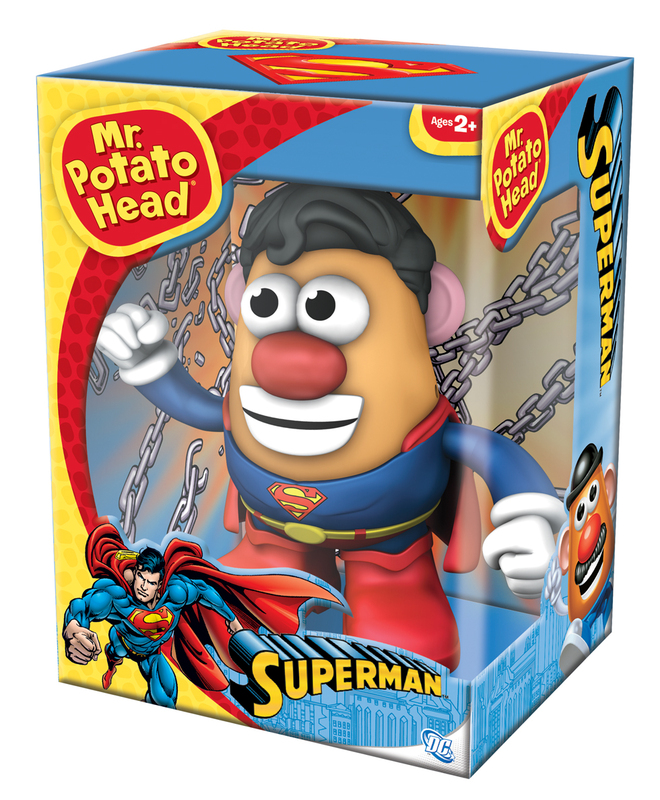 Kinda related. . .I went to Sonic for half-price drink Happy Hour today and saw that the Kid's Meal toy was Justice League tater tot plush toys. There were 10: Superman, Wonder Woman, Flash, Hawkgirl, Martian Manhunter, Bizarro, Aquaman, Supergirl, Plastic Man, and Clark Kent. There's no Batman! If there were I'd buy these!